27 Must See UK Beaches - How Many Have You Been To? When you think of U.K. Beaches you probably imagine knotted hanky’s, deckchairs, comedy seaside postcards and kiss me quick hats. However, the UK has some truly stunning beaches; some have golden sand that stretches for miles and others have incredible, breathtaking backdrops such a cliffs or castles. 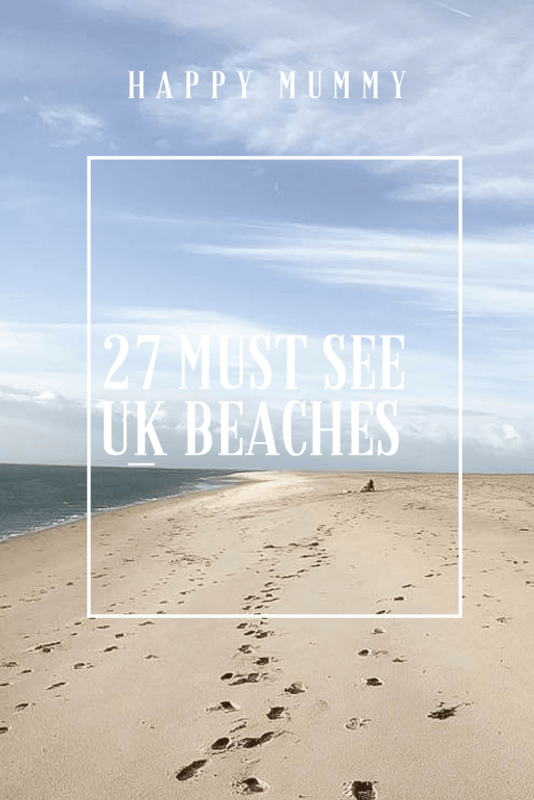 I have teamed up with some of the U.K.’s Best Bloggers to bring you 27 MUST see UK Beaches. We don’t get balmy sunshine often in the UK so we need to plan ahead; make sure we know where we want to go & make sure we don’t miss out on one of the UK’s hidden treasures! There is nothing better to do than sit and daydream about a day at the beach; imagine the sun gently warming you from head to toe while you relax on golden sands. 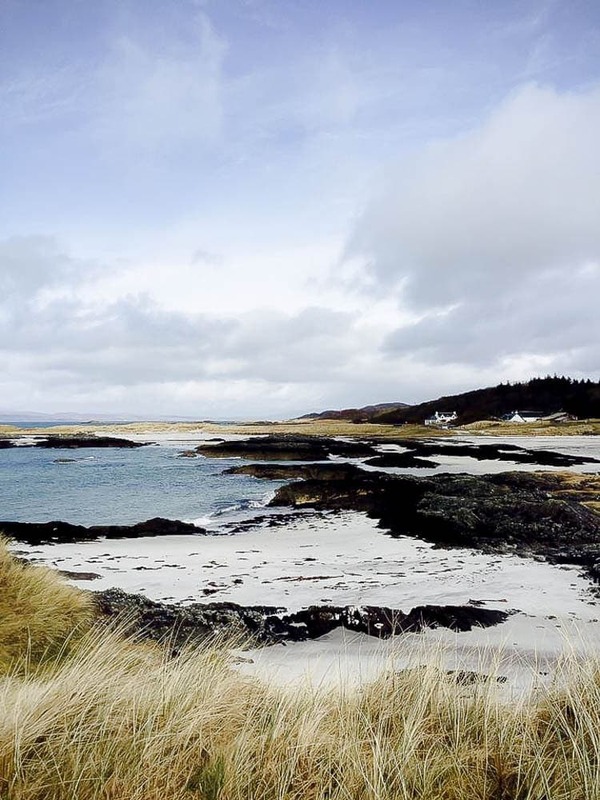 Why not tag someone on social media and plan an outing to one of these fab beaches! Without further ado here is our list of The Top 27 Must See UK Beaches. 1. Digital Motherhood love Durdle Door. It’s got to be Durdle Door in Dorset. Part of the Jurassic Coast and on a sunny day really looks like you’re abroad! 2. Coffee Cake Kids loves Llanfairfechan in North Wales. It’s got good parking, a huge cafe, a playground, a duck pond, a big grassy area for picnics and a beautiful big sandy beach When you turn around, you have the mountains behind you. 3. Pack The PJ’s loves Three Cliffs Bay in the Gower, South Wales. You have to park at the top of the cliff and walk for 10-15 mins to reach the beach, but it is stunningly beautiful. Natural. No deckchairs, concessions etc. Just a beautiful beach that is often shortlisted in ‘best beach‘ competitions. 4. This Is Me Now love Wells-next-the-sea. It is absolutely stunning and has even voted the best beach in Britain according to the Sunday Times. It’s better than many beaches I’ve been to abroad with gorgeous white sand. The town of Wells is very quaint with lots of boutiques and cafes too. 5. Pink Pear Bear loves Aberdyfi (Aberdovey) beach in Gwynedd mid Wales. 4 miles of beach to walk, dolphins to be spotted and most of it is dog friendly too!! 6. Emma Reed loves Sandymouth. When we went on holiday to Cornwall we stayed at Sandymouth holiday park and just down the road is Sandymouth Beach. It is just stunning. 7. You Baby Me Mummy loves West Wittering – It was the first beach we ever took Ava too so it is a bit sentimental for us I guess. Love it especially when it’s stormy and wild. 8. Sticky Mud and Belly Laughs loves Black Rock Sands, North Wales. Stunning surroundings, beautiful sandy beach, car parking. My favourite beach by far! 9. Life is Knutts loves Camusdarach beach in West Scotland. The crystal clear water, coupled with the white coral sand and the dramatic colours of the landscape surrounding it are just second to none. Rock pools aplenty too. 10. Sprog on the Tyne loves Embleton Beach in Northumberland. It is always so quiet, but with beautiful Dunstonburgh castle in the background, a picturesque walk from historic Craster to do and the huge dunes – ripe for racing or rolling down, it’s completely a hidden gem. 11. 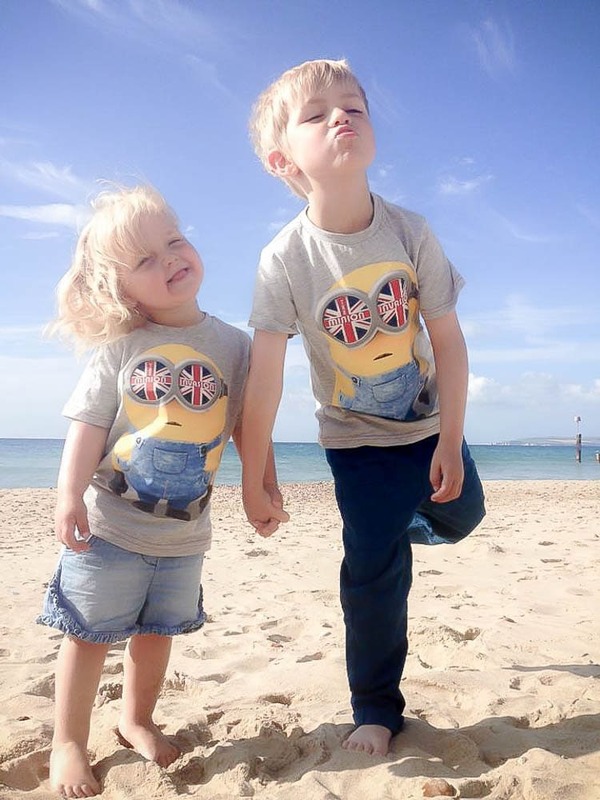 Family Fever loves Saunton Sands. The beach isn’t just for the summer. In fact, I almost prefer it in the winter, when it is empty except for the surfers and a few families, when there are heaps of new rock pools to explore, when the children can run undisturbed for miles. 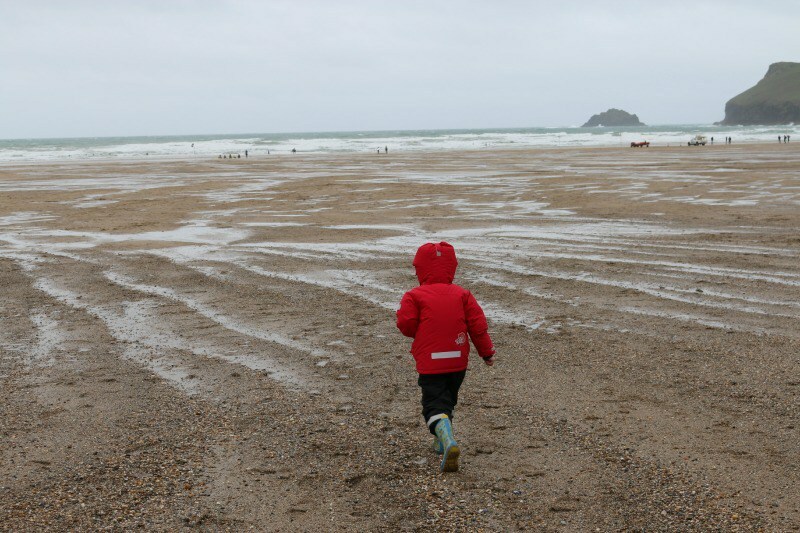 That’s just whhttp://myfamilyfever.co.uk/2015/02/the-beach-in-winter/at we did last weekend. It was chilly but the sun was shining brightly, and so we headed to Saunton Sands. 12. Wishes and Wellies love Holkham Bay in Norfolk. It’s big and has nothing there just lots of room to play! 13. Our Bucket List Lives loves Anderby Creek in Lincolnshire. 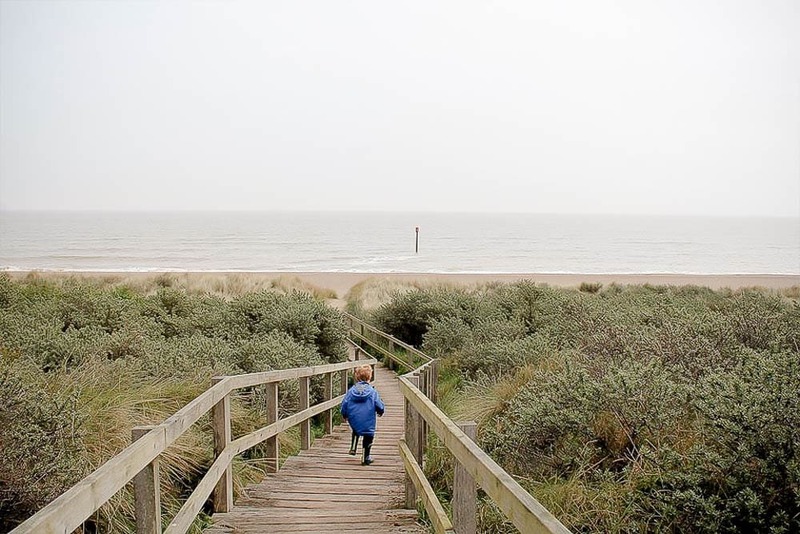 Lincolnshire has a stunning stretch of endless sandy beaches. This beach has lots of shells to collect and a couple of installations to explore. Including the countries first ever place to observe clouds. We love it for the peace and quiet. 14. Daisies and Pie love Kynance Cove – Cornwall. Kynance Cove, what can I say? It’s like another world! It’s like stumbling into an amazing secret place. An area of outstanding natural beauty, dramatic coastal scenery this secluded little cove is quite simply stunning. The most beautiful beach I’ve ever visited. 15. 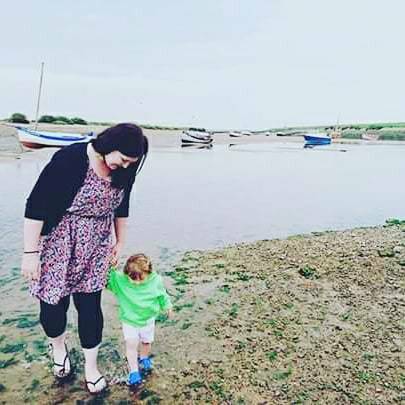 The Coastal Mummy loves Burnham Overy. Burnham Overy is one of my favourite places. 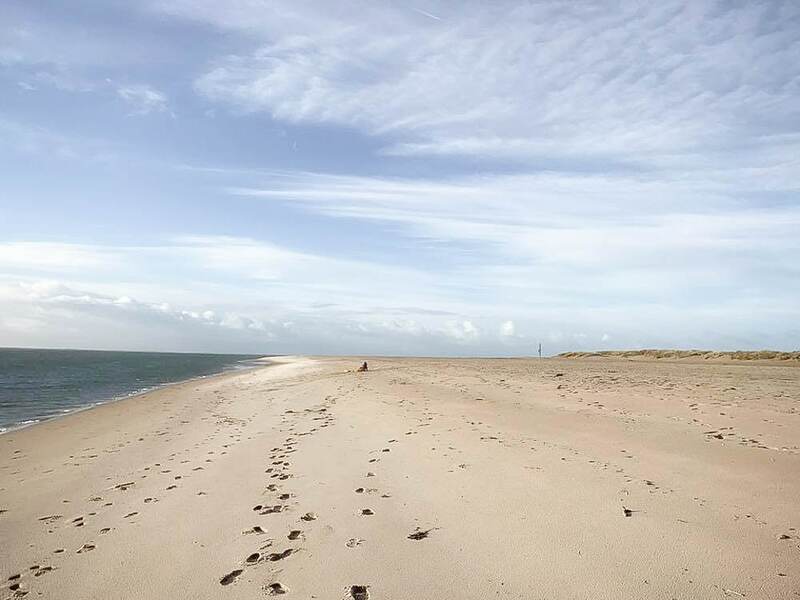 You can cross over the water at low tide and go and pick some samphire or walk along the path that leads to the gorgeous sand dunes and beach. This photo was taken last summer, when the weather is better we spend hours there as a family. Its a place where memories are made. 16. Stacey In The Sticks loves Babbacombe beach in Torquay . You can walk down to it (steep!) or get the cliff railway, which my boys loved! Stunning views, and you can walk the coastal path to the town. 17. Something About Baby loves Frinton Beach. It is always lovely and clean and never too busy – even on the sunniest days! You can walk down to Walton too for the beach, pier and arcades – two great beaches in one day! It also holds special memories for us as it was Alfie’s first beach trip and he loved it. 18. Baby Foot loves Longsands. We love Longsands in Whitley Bay. It’s so sandy, fairly sheltered. 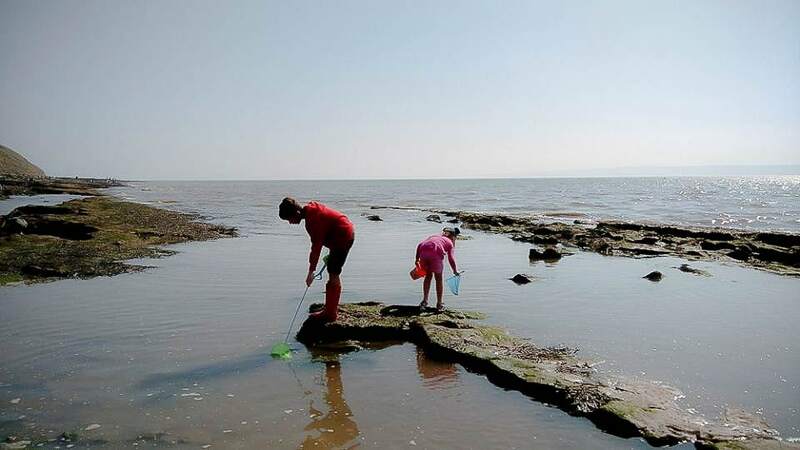 There are rock pools right at the end for crabbing or just looking for interesting creatures. Two really lovely cafes – one at each end! 19. The Happy Weaner loves Formby Beach. Formby beach is beautiful and not far from Crosby. There’s sand dunes and a wood walk, a little food stall and ice cream van. It’s a national trust so you have to pay to park but it’s really well maintained and vast. 20. Devon Mum loves Woolacombe beach. It’s an award winning beach and it’s miles long so you can still find quiet places even in the holidays. It also has a special section where dogs can run free. 21. Bubba Blue and Me loves Barracane beach. It is brilliant for rockpooling and looking for shells. There’s a lovely little beach cafe too and it’s great for walks around the bays. 22. Over 40 And A Mum To one loves Polzeath. It is good whatever the weather. 23. Emmy’s Mummy loves Poldhu Cove. It’s never really busy and it has little coves for exploring and gloriously sand, plus if you get there early enough you can nap on of a few parking spots. 24. 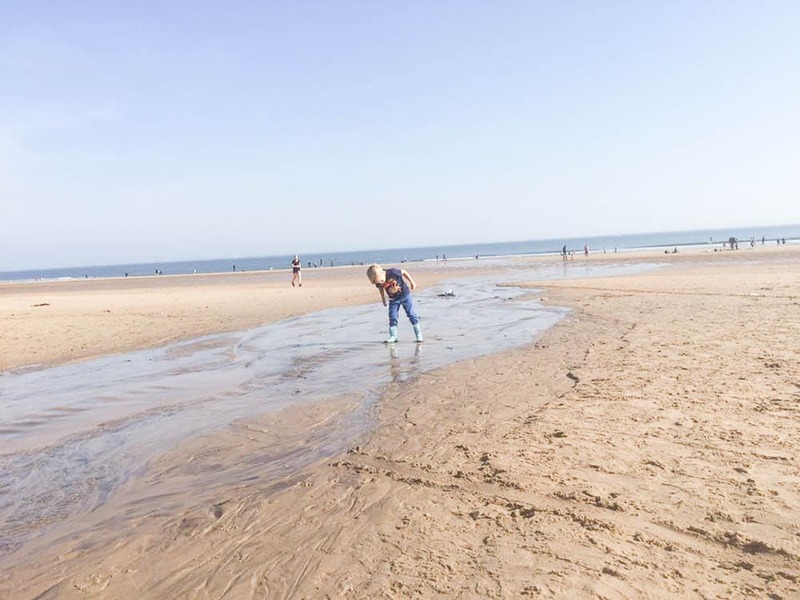 Five Little Stars loves Whitby Beach – We had a lovely day at Whitby beach, it’s a big open clean beach and was really easy with a 2 and a 1 year old. A cold May paddle in the sea, chasing over friendly seagulls, and building sandcastles kept them entertained for ages. The donkey rides were a big hit, and a fish and chips picnic lunch on the beach was lots of fun. Everyone loved the ice cream (obviously!). Wish we’d had longer to explore the ruins and town! 25. Yorkshire Wonders loves Filey Brigg. It is a fab place to take the kids. It’s a big wide sandy beach and then at the end there is the Brigg (a long narrow rocky outcrop). All around the Brigg are fabulous nooks and crannies and rockpools to explore. 26. Even Angels Fall loves Bournemouth and Poole beaches are amazing and definitely worth a visit. I’ve not visited another beach in the UK with as soft sand before and the beach is the perfect place to watch the annual air festival in August. 27. 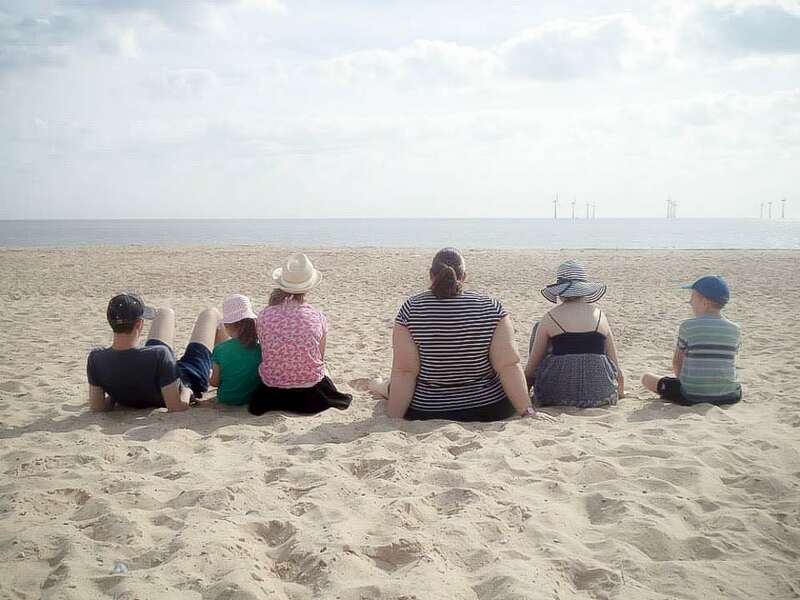 Big Family Big Fun loves Caister-on-sea. It is my favourite place on earth. Clean, peaceful, lovely soft sand and on a good day you can see dolphins swimming out past the sandbanks. Thank you to everyone who contributed to this post. I really cant wait to start exploring these Amazing, Must See UK Beaches. We were by the sea recently staying at the Novotel Southampton and it was lovely even though there is no real beach we were able to enjoy the coastline. You cannot beat some sea air! If you fancy a little family trip to Ireland then here some inspiration for you! As someone that lives by the beach I loved this post! So many fab beaches. Thanks for including mine.